You'll find the recipe here for our Bodacious Pumpkin Cupcakes recipe. These Blueberry Cupcakes with fresh butter cream frosting are out of this world delicious! Check out the recipe here. 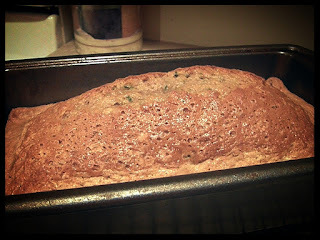 Our family loves this Homemade Zucchini Bread recipe. These Cranberry White Chip Cookies are out of this world! You can get the recipe right here. Making your own hand dipped strawberries is fun, super easy and inexpensive. And, if you use white chips, you can share 'em with your pup. Learn how to make these sweet gems here. I've been making homemade pound cake for years! Top it off with fresh berries, ice cream, whipped cream...whatever! It's a treat you can share with your fur-kid. Get my recipe here. 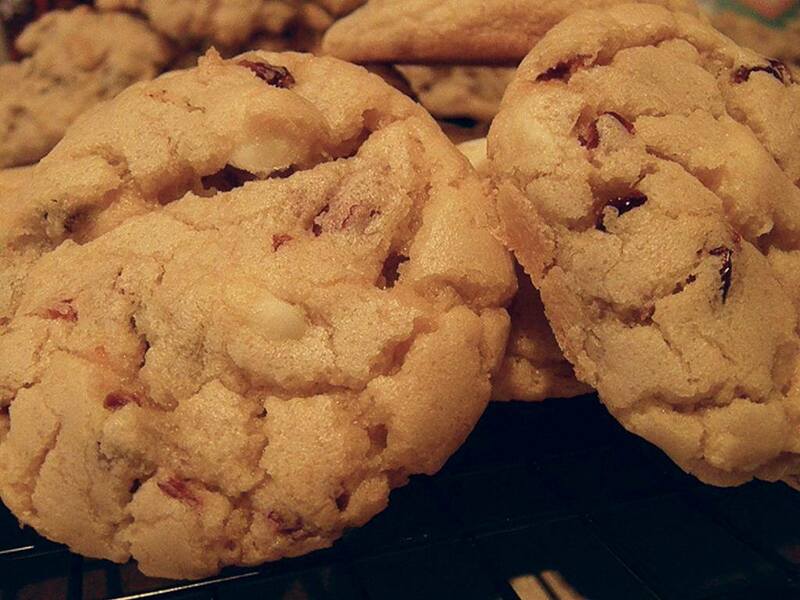 These Double Peanut Butter Cookies are both human and pup approved. I posted the recipe here. Got berries? 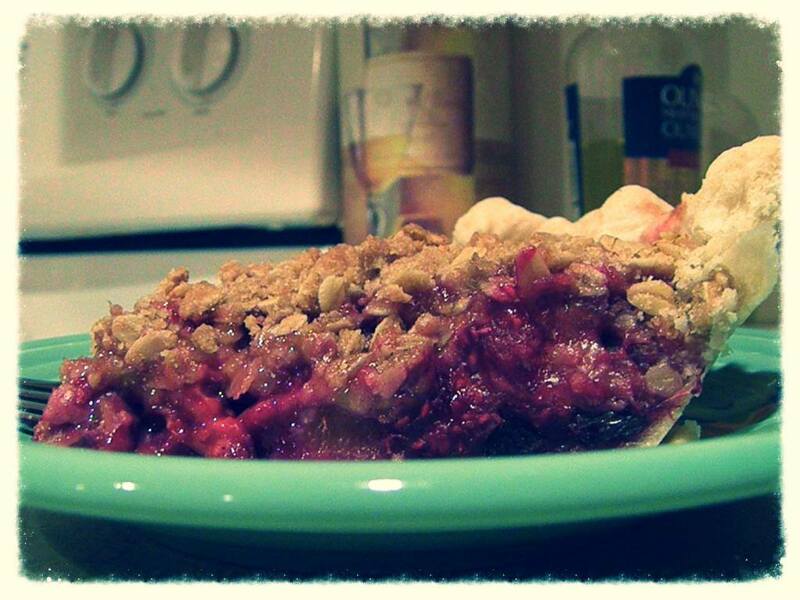 Whether it's fresh summer berries or frozen, this Summer Berry Crunch Pie is one of our favorites. Our kids love it too. Get the recipe here. My homemade Pumpkin Bread is a staple in this household during the Fall and Winter seasons. It's the perfect treat to share with your pup! The recipe is right here. 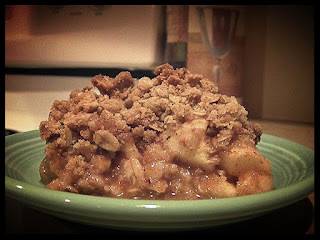 We can't get enough of this homemade Apple Crisp! Our kids love it too. Want the recipe? Here it is. Impress your guests with these Caramel Apple Cupcakes and let 'em know they can share these scrumptious gems with their pups. The recipe is here. These Apple Cinnamon Cheesecake Cookies are made with fresh apples! The humans loved these cookies and the pups were head over paws for 'em. I posted the recipe here. Lobo wanted my Apple Cupcakes with vanilla buttercream frosting. That's what he got! 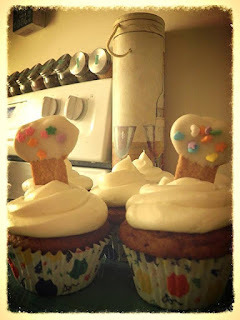 These cupcakes were a huge hit with both the humans and pups! Here is the recipe.